A scared journey of 10 days through Northern India, discovering the land of Sri Krishna, Radha, Shiva, Buddha and other enlightened beings. The Bhakti Pilgrimage is created for those, who wants to dive deeper into that sacred world. Guided by a team with knowledge and experience it leads you to places you wouldn’t have known existed, or experienced on your own. India is the land of spirituality and religion. You can find many religions and cultures in this diverse country. A pilgrimage through India is a great opportunity to deepen your spiritual background and learn about ancient philosophy, traditional rituals, prayers and their way of life. 18 spirit seekers from around the world gathered together to go on this magical trip. 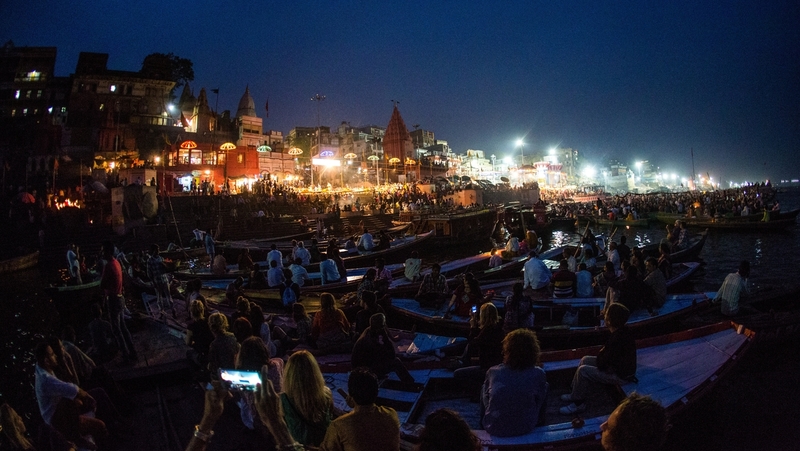 The organisers of this pilgrimage – Deep Deka, Pau Castellsagué and Wari Om, are running the Indian Yoga Festival, Bhakti Camp, and Barcelona Yoga Conference. They had an intention to create a journey where western participants can see and experience sacred India through the eyes of a local person. The main program included visits to 3 holy places which attract many pilgrims and spiritual seeker from all over the world. Vrindavan, the land of Lord Krishna and supreme goddess Radha. 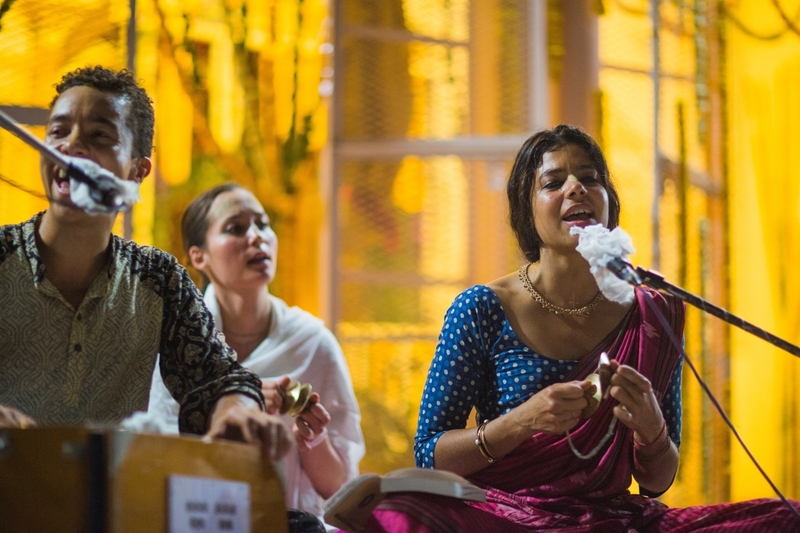 The land where Kirtan is a lifestyle and divine chants and mantras are sung everywhere. Varanasi, the land of Shiva. Also known as the spiritual capital of India, where the most spiritual activities and rituals happen by the Ganga Ghats. Bodhgaya, where Lord Buddha in the body of prince Siddhartha attained enlightenment under a Bodhi tree about 2600 years ago. We travelled in a bus through the rural countryside of India singing old traditional & modern bajans, mantras and other songs. There was a special kirtan with the Kirtaniyas in the Munger Mandir, which as a group we thoroughly enjoyed. We danced with the local crowd at a Kirtan in the Banke Bihari Temple and meditated early in the morning, on the banks of the holy river, Ganga. Sessions of Yoga, Pranayama and laughter yoga were practiced in a traditional way. Modern yoga classes were also held, especially for the pilgrim group. We walked barefoot up the Govardhan hill with Babaji, and had a unique kirtan along with dinner at the Samadhi place of Gopal Bhatta Goswami. This was a special opportunity to be close to one of the divine teachers. We discovered the ritual practices near the river Ganga, bathed and cleansed before joining the aarti ceremonies and also sang holy chants. 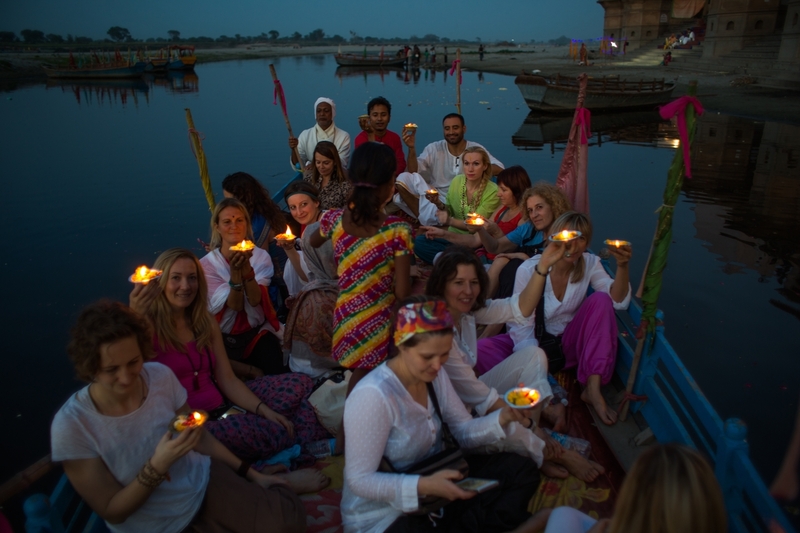 We also celebrated our own colourful holy fest by the Ganga with a special kirtan. One very special experience was meditating under the Bodhi tree, where Buddha had once attained enlightened. We shared our experiences and impressions with a warm, open-minded group. This multiplied our feelings and reminded us about the power of connecting hearts and souls to oneness. These were just a few highlights of an unforgettable sacred journey, which shifted our mind-set and pinned spiritual anchors into our souls. We are looking forward for another outstanding experience, next year. The next Bhakti Pilgrimage “North India Tour” will take place from 10th-20th. March 2017. Another Bhakti Pilgrimage Tour through the south of India is planned between the 10.-20. January 2017. More information about upcoming Bhakti Pilgrimage tours can be found here. Suparni was born and raised in Cologne, Germany. Her parents were followers of Easten philosophy and therefore Yoga, meditation, vegetarian nutrition and spirituality has always been part of her life. She has completed her teacher training in Thailand from Blooming Lotus and teaches primarily Hatha, Vinyasa and Power Yoga. She is also certified in AirYoga, Prana Flow, Kids yoga and Yoga for Burnout (-prevention). Although, personally, she likes to practice AcroYoga, RocketYoga, Bhakti Yoga and Ecstatic Dance. 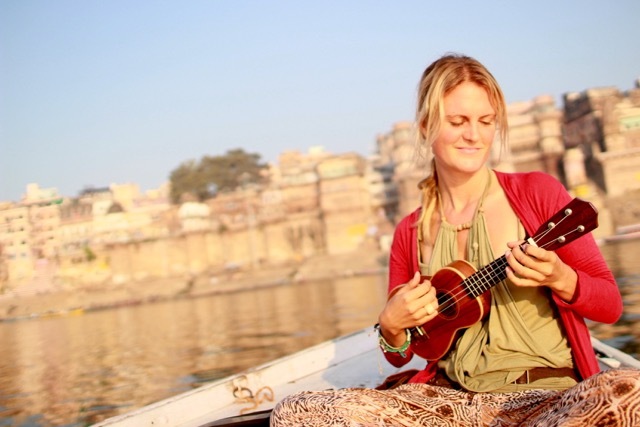 She lives a nomad lifestyle and travels around the world for yoga venues, retreats and festivals. She freelances as a marketeer, blogger, yoga teacher, publisher of German vegan cooking books and also runs her own yoga retreat portal. Do check out her ventures – Spirit Adventures, her food blog Love Food Kitchen and Live Your Life.